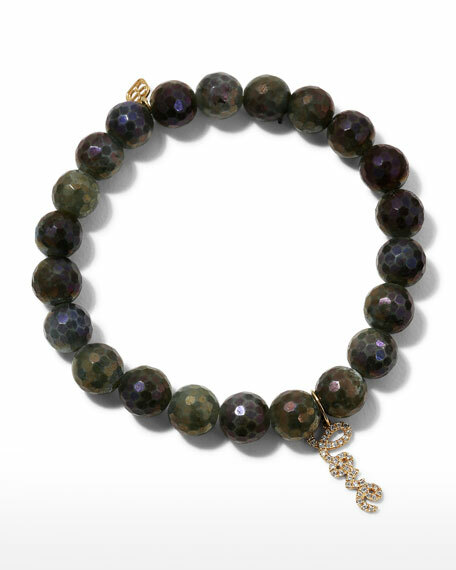 Sydney Evan labradorite bracelet with diamonds. 14-karat yellow gold logo and script charms. 8mm semi-round coated labradorite beads. Gold "love" script charm with diamonds.